Harry Nyquist was born on 7 February 1889 in Nilsby, Sweden. He moved to the United States in 1907. 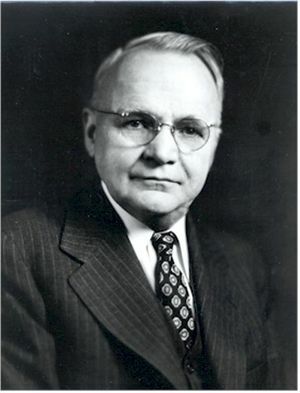 He attended the University of North Dakota, Grand Forks, from 1912 to 1915 and received the B.S. and M.S. degrees in electrical engineering in 1914 and 1915, respectively. He attended Yale University, New Haven, Conn., from 1915 to 1917, and was awarded the Ph.D. degree in 1917. From 1917 to 1934 Nyquist was employed by the American Telephone and Telegraph Company in the Department of Development and Research Transmission, where he was concerned with studies on telegraph picture and voice transmission. From 1934 to 1954 he was with the Bell Telephone Laboratories, Inc., where he continued in the work of communications engineering, especially in transmission engineering and systems engineering. At the time of his retirement from Bell Telephone Laboratories in 1954, Nyquist was Assistant Director of Systems Studies. During his 37 years of service with the Bell System, he received 138 U. S. patents and published twelve technical articles. His work ranged from thermal noise to signal transmission. The Nyquist sampling theorem postulates that the sampling rate must be at least twice the highest frequency in the sample in order to reconstruct the signal. His mathematical explanation of the thermal noise has also kept his name closely connected with the phenomenon. His work laid the foundation for modern information theory and data transmission, the invention of the vestigial sideband transmission system now widely-used in television broadcasting, and the well-known Nyquist diagram for determining the stability of feedback systems. After his retirement, Nyquist was employed as a part time consultant engineer on communication matters by the Department of Defense, Stavid Engineering Inc., and the W. L. Maxson Corporation. Before his death in 1976 Nyquist received many honors for his outstanding work in communications. He was the fourth person to receive the National Academy of Engineer's Founder's Medal, "in recognition of his many fundamental contributions to engineering." In 1960, he received the IRE Medal of Honor "For fundamental contributions to a quantitative understanding of thermal noise, data transmission and negative feedback." Nyquist was also awarded the Stuart Ballantine Medal of the Franklin Institute in 1960, and the Mervin J. Kelly award in 1961. Harry Nyquist Papers - University of North Dakota Archives. This page was last edited on 27 January 2016, at 18:36.